Toyota announced a massive restructuring of its vehicle manufacturing strategy today as part of the company’s switch to a new modular development platform. The expectation is that the process overhaul will reduce the resources necessary for new models by 20% and bring a staggering 40% savings in the cost of new factories. A new generation of engines will be up to 25 percent more fuel efficient than those in today’s Toyota vehicles while generating 15 percent more power, the company added. The company’s next-generation hybrid drivetrain, to debut on the redesigned Prius as early as year-end, will deliver a 15 percent boost in fuel economy. Toyota executive vice president R&D Mitsuhisa] Kato, in an update on the plans, said the first cars based on the Toyota New Global Architecture, or TNGA, will be C-segment, front-wheel-drive models debuting later this year. 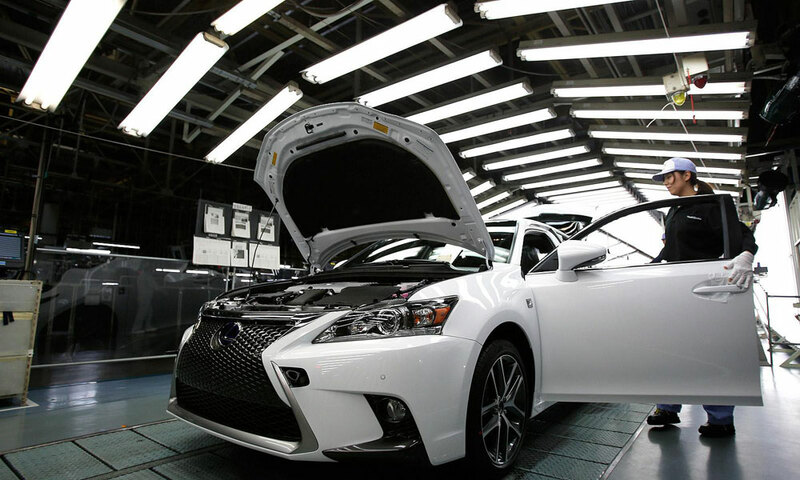 The family of cars includes the Prius hybrid, Corolla and Lexus CT.
Kato said savings in time and money will be plowed back into new technologies, better manufacturing processes, slicker designs and more attention to detail and quality.